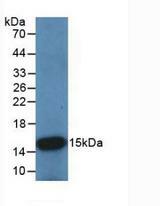 Stefin B antibody LS-C696215 is an FITC-conjugated mouse monoclonal antibody to rat Stefin B (CSTB / Cystatin B). Validated for WB. Recombinant CSTB (Met2~Phe98) expressed in E.coli. 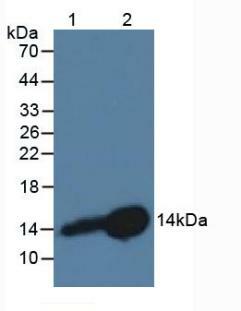 The antibody is a mouse monoclonal antibody raised against CSTB. 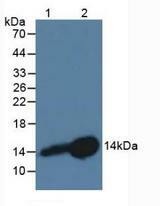 It has been selected for its ability to recognize CSTB in immunohistochemical staining and western blotting. 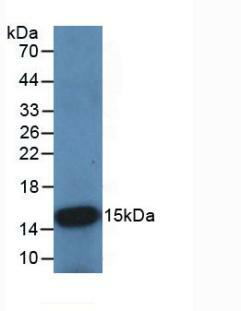 Western Blot; Sample: Recombinant CSTB, Rat. Western Blot; Sample: Lane1: Rat Lymph Node Tissue; Lane2: Rat Placenta Tissue.